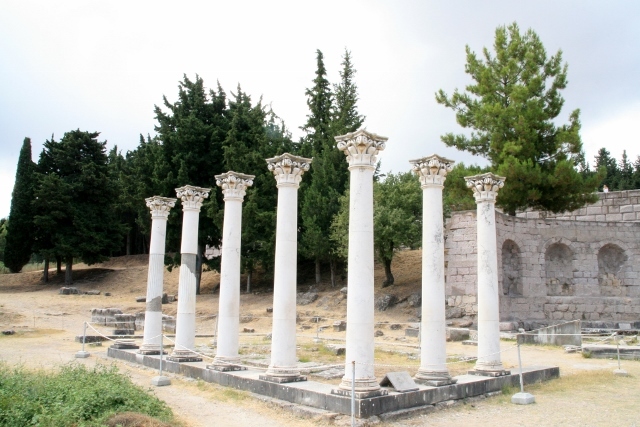 The range of antiquities in Kos Town and on Kos makes me want a virtual game, so I can just wander round and meet the players: Apollo, Asklepeion, Hippocrates, Hadrian, the Venetian Knights of the Crusades and Sulemain, the Magnificent. 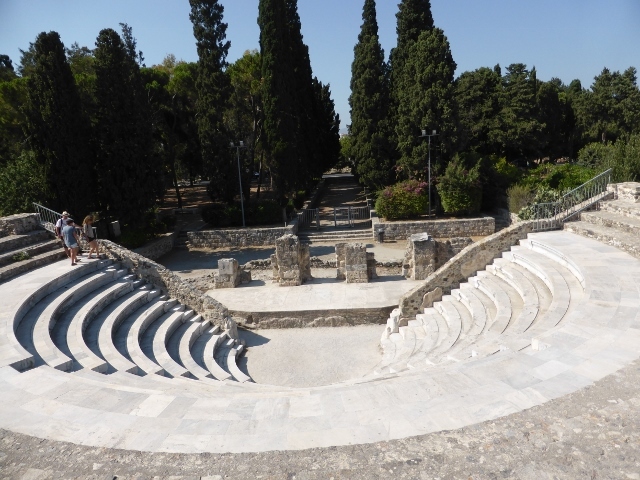 What a cast of characters, over centuries of occupation by gods and man, Kos casts a spell of inspiration. 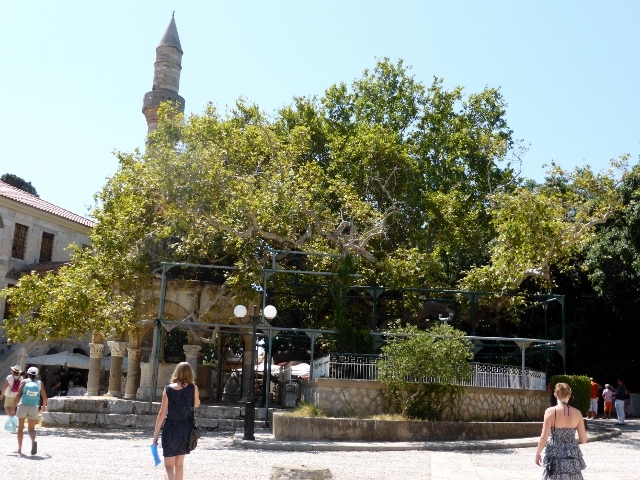 In prime of place, is the Plane tree of Hippocrates, before the Asklepeion was built, Hippocrates taught his students “first do no harm” under the giant plane tree, near the waterfront. Hippocrates was a descendant of the god Asklepios, the god of healing. 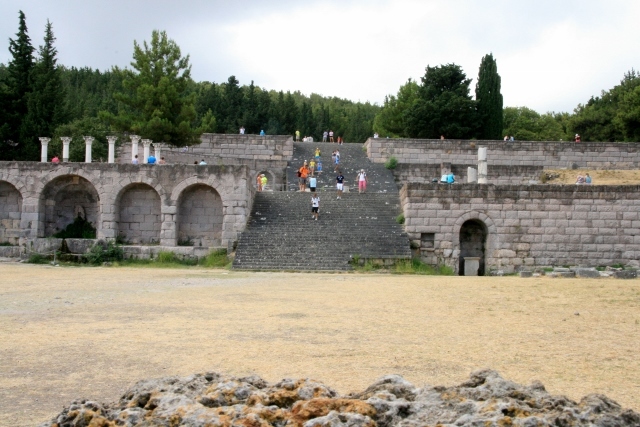 After Hippocrates death, the Asklepieion was built as a temple and hospital on a hill overlooking the sea and the coast of Turkey. Perhaps there was a sanctuary to Apollo on the site but by the 4th Century BC, there was a temple built to honour Asklepieion. There patients would bath in springs, priests would listen to their dreams and feed them nutritious food in the middle of a pine grove with beautiful views.. Just the cleanliness and food may have solved many problems, but listening to dreams while taking in splendid views sounds like early psychotherapy. This is all still here but the Asklepieion was ransacked by the Knights to build their fortress, so it will never be fully restored. 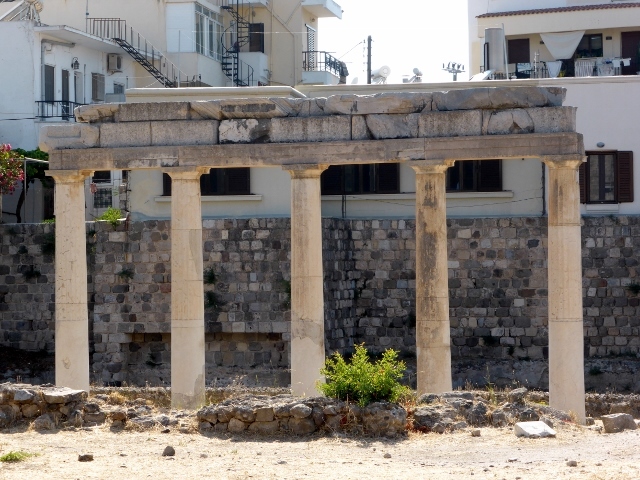 Antiquities abound in Kos, the Romans were here in 2nd and 3rd centuries BC. 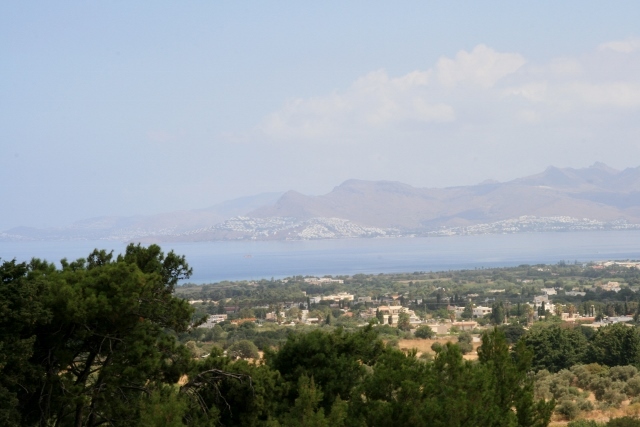 Greeka.com offers quite a good history, recalling the Casa Romana and the Odeon all within walking distance of the marina and Kos Town. So finally, it is time to say farewell to Greece. We have to leave after such a short time due to the Schengen Agreement. We are off to Turkey and Bodrum. I hear there is a temple to Apollo there too. Happy Birthday to cousin Ed De Angelo, hope it was great.